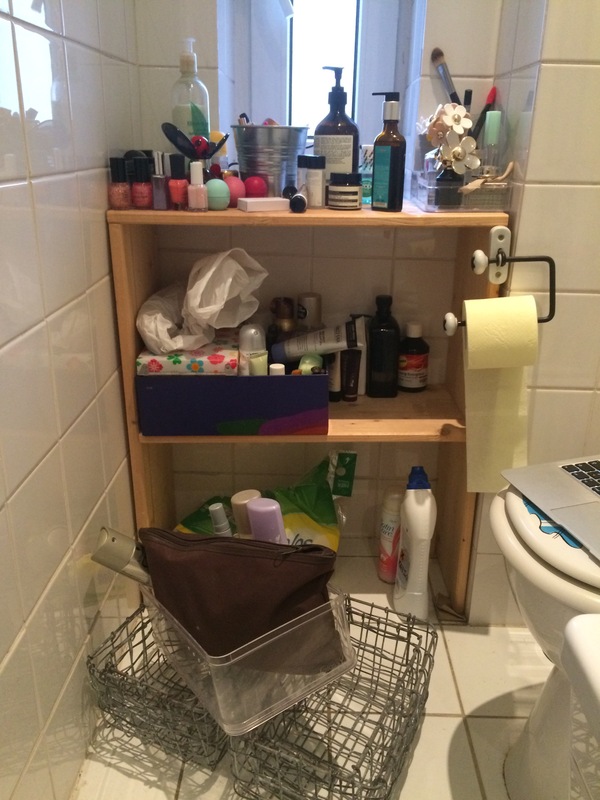 For a long time I’ve been tired every time I looked at my bathroom because it is a complete mess out there. Thousands of different hair products, oils and body lotions that I barely use. Therefore I decided to buy these wire boxes from Trend.de to clean up my beauty mess. I began with trowing out a lot of stuff, and even though it was hard I just decided to throw away the stuff I never use and not thinking “but what if I will use it one day”. 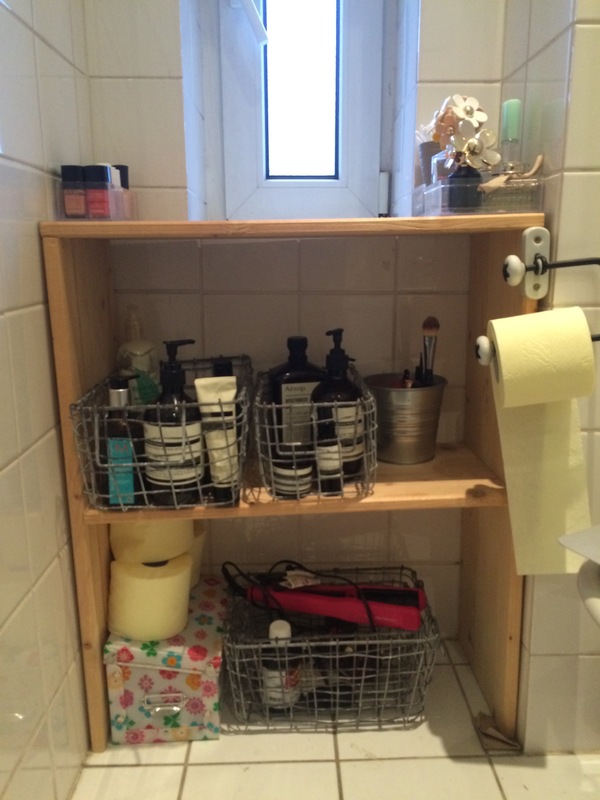 Now all there is left in my bathroom is the stuff I actually use and the stuff that I feel is working for me. These products are my everyday favorite beauty essentials. 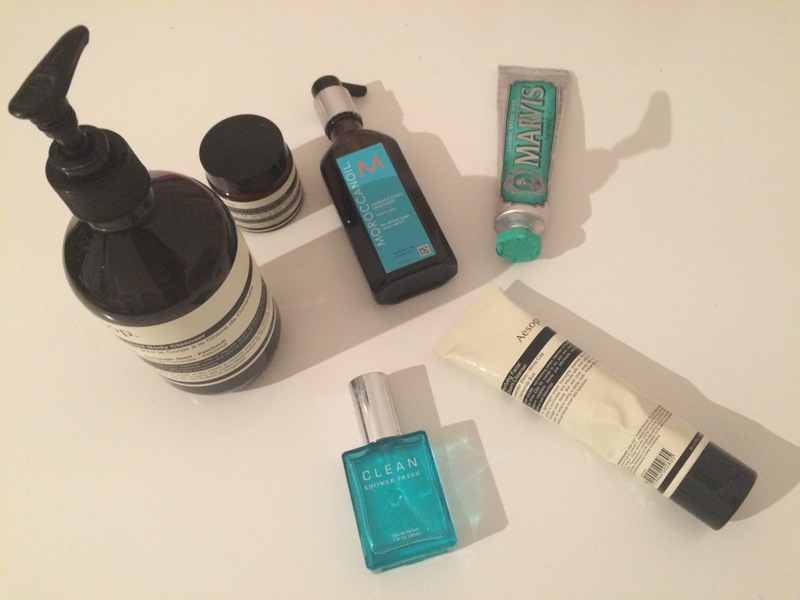 (Soap, facewash and face cream from Aesop, hair oil from MoroccanOil, Marvis toothpaste – not only does it taste good, it also looks good and perfume from Clean. Since my mom started using perfumes from Clean many years ago they have been my favorite perfumes and I actually like all of them).